A whimsical wallpaper print that reminds us of grand and traditional interiors, the Mind The Gap Fontainebleau Wallpaper is a real showstopper! 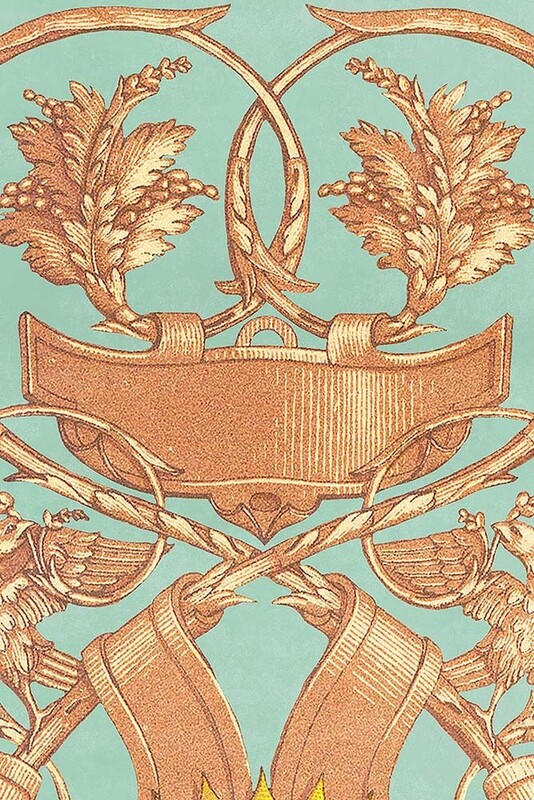 Featuring a historical emblem on a duck egg blue / green background this wallpaper design is inspired by the early Renaissance period. Reminding us of a different era, anyone who loves grand and traditional pattern wallpaper with a modern twist will love this design. Cover the walls in your living room with the Pale Green Emblem Wallpaper or create an eye-catching feature wall with the striking wall print in your bedroom. You could even do something a little unexpected and wallpaper your wardrobes or mid-century style display cabinets with this light traditional French wallpaper. 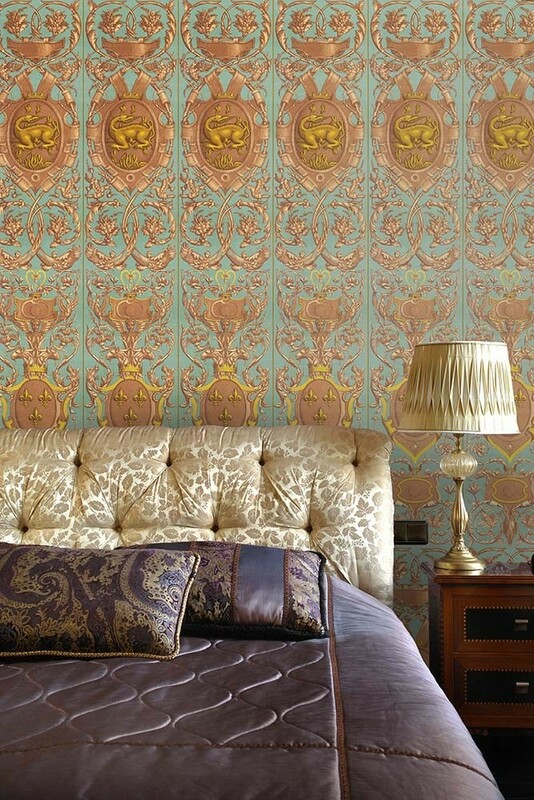 For more ideas, check out our blog - 5 ALTERNATIVE IDEAS FOR UPCYCLING WITH WALLPAPER. Alternatively, for tips on how to hang your wallpaper, check out our guide here.